With the uncertainty of Brexit, Expat wedding services Amsterdam influx of requests is alarming. 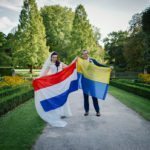 English speaking nationals and internationals wanting to get married in Holland are worried about the impending changes. However, what is the impact and consequences of planning your wedding in the Netherlands? To be honest with you, I’m just as confused and concerned. However, one thing is certain it shouldn’t put you off the idea of an exclusive celebration of love in the heart of the city. But, what nationality are you? In fact, to tie the knot in Amsterdam as a foreign national can be arranged without getting legally married. To start with, just imagine the excitement on your family and friend’s face (including work colleagues) when you tell them about your wedding plans. Another thing, Expat wedding services are carried out at the same level of formality as a UK, AU, CA or US ceremony. What’s more, it includes a ceremonial hammer that symbolises your sweet union. Secondly, as your wedding looms on the horizon, Expat wedding services can book a local photographer or virtual reality cameraman to capture your special occasion. Or contact an English speaking celebrant on your behalf. A celebrant could take a few selected snaps for you. Later on, share the moment with loved ones on Facebook or Instagram. But of course, you can have an commitment ceremony, celebration of love or declaration of relationship. However, if you hope to tie the knot you must obtain a valid marriage license. And get other legal paperwork in the country of your residence. This confirms your status, rights and obligations as a legally married couple. Ultimately, you may have fallen totally in love with the city. But, your other half is not happy to declare their love in Amsterdam. Think hard about how it will affect your future married life. Also, family and friends may be completely against your wedding plans. But that’s okay. It’s your wedding and your choice. And there is more… every decision you’ll make in planning is about what you and your spouse want. Don’t take anybody else’s preferences, beliefs, customs, traditions or wishes on board. Go ahead and create a new life experience with the help of Expat wedding services. Cherish it for the rest of your lives. So, make a choice about what you want – the options are endless.